We have the pearl of our eyes to admire blessing of the compassionate and omnipotent because the words are bound, knowledge is limited to express His dignity. It is one of the infinite blessings of almighty ALLAH that He bestowed us with potential and ability to complete the Project on Organizational Development and Its Role In Change Management and make a material contribution towards the deep oceans of knowledge. First we avail this opportunity to bow our head before ALLAH almighty in humility who given us the wisdom and perseverance for completing this piece of report on Organizational Development and Its Role In Change Management. We invoke peace for Holy Prophet Muhammad (P.B.U.H) who is forever torch. We feel highly privilege to ascribe the most and ever burning flame of my gratitude and deep scene of devotion to my Lecturer, who taught us “Change Management” with heart and also gave a guideline to this report. Organization Development (OD) is a process by which behavioral science knowledge and practices are used to help organizations achieve greater effectiveness, including improved quality of work life and increased productivity (Cummings, & Huse, 1989). Organizational development deals with improving a company’s performance and individual development of its employees. Each organization should be viewed as a coherent system composed of separate parts. Organizational development as a process includes methodologies and achievements in strategic planning, organizational design, leadership development, coaching, diversity and balance between work and life. Business enters a new era, we need other personal qualities – emotional intelligence, ability to manage, to set goals and follow them, to be confident assertive, creative, to self-improve continuously. Only strong and complete individuals can make a profitable and stable business. The term organizational development identifies the stages through which organizations go in the process of their development. You could say that organizational development is the way organizations change, evolve. This understanding is based on the assumption that organizations, just like human beings, have cycles of development, each characterized by its specific problems, crises and ways to overcome them. When we say organizational development we mean the various techniques and interventions that are planned and implemented in order to assist or facilitate the implementation of certain planned and consequential changes in the structure, processes and human resources within the organization. Organizational development process is planned, as it requires systematic diagnosis, program development and mobilization of resources (financial, technical, human) in a separate structural unit or entire organization. It is described as a process that includes efforts to improve various activities in the organization. Organizational development involves the analysis of strategy, structure and culture of the organization. Organizational development analyzes formal and informal parts of the organization. Expert-model: If the client seeks specific information and expertise to solve problems or issues. The responsibility lies with the client. This model works well in the following conditions: the client has correctly diagnosed and presents problems identified as the consultant’s specialty, ensuring the ability of the consultant to give him/her the expertise, to know the nature of information that he/she wants and to be able to accept the consequences. Pattern of organizational consulting “doctor-patient”: In this model, the consultant makes the decision, but has additional power to diagnose the problem. In this model, the consultant assumes responsibility for the decision. Now that we have examined the major emphases associated with organizational development, a broad picture of the actual process is needed. While there are variations on any model, represents the major components of a planned OD effort. The first step of the model is critical. Often, educators and managers will recognize the need for change before others who have decision-making power do. In such instances, these decision-makers, or change sponsors, will need to be convinced of the need for change. Ongoing diagnosis and systematic examination of the environment can provide a rationale for planned OD efforts. An environmental scanning program, strategic planning, employee or “customer” feedback survey, or similar methods can detect changes in the internal or external environment that will have impact on the organization. Organizations can also examine the quality of their products and/or processes to determine whether OD efforts need to be directed toward specific areas within the organization or work team. Process Strategies: team-building, quality circles, sensitivity training, survey feedback, career planning. The change strategy chosen should relate appropriately to the organizational or team need. Political, technological, or legal factors may cause an organization to move in directions that require OD efforts. All too frequently, however, interpersonal change efforts are chosen as the appropriate strategy. For instance, a simple problem such as the overuse of a particular piece of office equipment may result in disgruntled employees. This problem may be solved by purchasing more equipment or restructuring the use of the equipment, rather than developing a team-building program. Interpersonal or even process strategies cannot adequately equip an organization to deal with these types of external pressures. Now that we are more familiar with organizational change and development, we can look at one OD strategy that is being successfully employed in many organizations. Team-building is an OD strategy that is often used in organizations to make work groups more cohesive, committed, satisfied, and productive. A variety of assessment tools and exercises are available for groups to diagnose their capacity as a team and improve their team functioning. Attachment A lists characteristics of an effective team, which can be used as a benchmark to evaluate the level of team functioning within an organization or committee. Assessment is the first step in attempting to build an effective team. However, team-building efforts are most effective when perceived as an integral concept within an organization and not merely as a sporadic intervention. These efforts then become part of the shared vision of that organization, a priority to which leaders are committed. Institutionalized by a work group, team-building shapes the way everyone within that group thinks about his or her role in relationship to others and to the organization. Understandably, many organizations, as well as many small work teams or committees, have difficulty orienting themselves to a team approach rather than an individual approach. Individual, rather than team, effort is traditionally recognized and appreciated within organizations. Below there is a list several suggestions that an organization can implement to overcome this tendency toward individual effort and to encourage a team culture. The list has been adapted for learning organizations. State administrators and other leaders serving as models of team players. Promoting people who are both technically competent and team players. Giving important assignments to positive team players. Incorporating team-player behaviours in the performance appraisal system. Offering training workshops on the skills of effective team players. Giving higher salary increases to positive team players. Developing incentive systems that reward team effort. In organizations, attention is typically directed toward leaders within the group through leadership training, self-assessments, style inventories, and the like. Most believe that sound leadership is the key to an effective work team. There is no doubt that the abilities of the leader can affect the team as a whole, but some of our traditional notions of leadership include outdated modes of behavior or unrealistic expectations. Even if we have moved from thinking of leaders in the John Wayne stereotype, we may still expect leaders to create an inspirational work setting by producing vision statements that motivate and unify the organization. Recently, however, some authors have discussed the concept of leadership in different terms, moving the leaders even further from the grandstand and closer to the audience. In a recent talk to educators and business leaders, Dr. Badi Foster, President of AEtna Institute for Corporate Education, discussed how the mission of the organization must be connected to all members of the team and how leaders are needed to develop this connection. Everyone needs to believe in something bigger than just “making a buck” at work; people need to feel that they are contributing to “the big picture.” Their gifts or talents brought to the work setting should be connected to an organizational vision so that they feel an integral part of the team. He prefers “vision” over “mission,” believing that the first implies impelling people, while the second term connotes compelling employees in their work environment. How can organizations develop congruence between individual team members’ vision and a larger organizational vision? Leaders must first encourage all employees to create their own personal vision, motivating and inspiring them in their work setting. Secondly, leaders must discern these personal visions, as well as the particular gifts that employees bring to work. Foster’s belief is that leaders can help “bring forth that which is already there” within individuals. Leaders can work with team members to help make the connection between their personal visions and goals and the vision of the organization. In some instances, organizations may be restructured, job descriptions may be altered, or jobs may be redefined to provide the employee more responsibility. Empowering employees creates an environment in which they can feel more connected and committed to the organization. If there is clearly no congruence between team members and the organization, then something must change; however, these changes will ultimately benefit both the individual and the organization. Lee (1991) takes this idea even further and argues that often the best leaders are the best followers: [Leaders] can create an environment in which followers can develop their own goals (in other words, a culture of empowerment), as well as provide the training to develop competence. It then becomes the leader’s task to sense where followers want to go, align their goals with the larger goals of the organization, and invite them to follow. In this conception of teams, the leader does not set himself or herself apart from the other members of the group but is intimately connected to them, helping them to align their goals with the organization and providing motivation through empowerment. What, then, is the role of the follower within a committee or work team? Team members are not merely waiting for inspiration and direction from leaders; rather, they are active participants in creating the vision and direction of their organization. They have “ownership” in their work setting, are involved in making it effective, and feel a connection between themselves and that vision. They speak the truth, take responsibility for themselves, and have both personal integrity and organizational loyalty. In short, they behave in ways traditionally considered behaviour of “leaders.” Team members who strive for these characteristics within a supportive organization will find that their personal satisfaction in the work environment increases. Many organizations are now embracing the “self-directed work team” concept and truly dispersing leadership throughout the organization. In small groups, this concept may already be a reality. However, it takes some managers a considerable amount of time to rethink their role in the group and move from “boss” to “enabler” or “coach.” At the same time, members of a team may not initially feel comfortable taking on more responsibility and accountability. New ideas and behaviours require some adjusting on everyone’s part. But the result may be worth the effort — teams become more effective and productive, and team members experience greater satisfaction with their work and feel more connected to the organization and other team members. Draw up a game plan. In considering these perspectives on the roles of the team leader and team members, it is helpful to bring these ideas together into a more comprehensive view of organizations. For instance, how can teams work together in an integrated whole, rather than as a group of individuals? How can the capacities of each member interact with the talents of other members to maximize the organization’s productivity? Peter Senge’s (1990) book The Fifth Discipline: The Art and Practice of the Learning Organization offers an inspiring look at how organizations can focus on growth and renewal, overcome threats from the external environment, and develop the capacities of individuals within the organization. He argues that changes in our “mindset” are needed to truly develop a learning organization. In the earlier discussion on change, we noted that changes in one area of the world affects others. Senge recognizes this phenomenon and emphasizes the concept of systems thinking, which he calls the “fifth discipline.” This is a holistic way of viewing organizations, as well as individuals, and provides a perspective useful in planning and change efforts. Senge writes: The tools and ideas presented…are for destroying the illusion that the world is created of separate, unrelated forces. When we give up this illusion – we can then build “learning organizations,” organizations where people continually expand their capacity to create the results they truly desire, where new and expansive patterns of thinking are nurtured, where collective aspiration is set free, and where people are continually learning how to learn together. One of the disciplines that characterizes the learning organization is team learning. Senge discusses how unaligned teams produce a great amount of wasted energy. While individuals within the team may work diligently, the team effort is low. He writes: By contrast, when a team becomes more aligned, a commonality of direction emerges, and individuals’ energies harmonize. There is less wasted energy…. There is commonality of purpose, a shared vision, and an understanding of how to complement one another efforts….Individuals do not sacrifice their personal interests to the larger team vision; rather the shared vision becomes an extension of their personal visions. Again, this congruence of personal and organizational vision can only occur when visions have been developed by both the organization and the individual. A shared vision is a necessity in this type of context. Neither the organization nor the individual can shirk responsibility in developing a vision. Senge notes three critical dimensions of the concept of team learning that have implications for judicial educators, as well as other teams. First, he believes that teams need to tap the minds of individual members in order to think insight fully about complex issues. Everyone must take responsibility for contributing to the group. Secondly, there is a need for coordinated action, through which team members can trust and expect certain behaviors from one another. He likens this to jazz musicians playing together in spontaneous, yet coordinated, action. And thirdly, team learning is dispersed throughout an organization through the actions of team members. Each member of a team will also be a member of other teams; his or her behavior can therefore encourage team learning in other areas as well. It is clear that these new ideas can radically change the way we look at teams. Changing our perspective and our expectations of teams can transform organizations and the way that work gets accomplished. Active participation is required from team leaders and followers, as well as commitment. Effective teams need a vision for the organization, but, additionally, each member must feel connected to it and perceive it as part of his or her own personal vision. Through both organizational and individual clarity of vision, organizations can expect commitment, diligence, and a passion for work from its members. Individuals and organizations who can find a passion for work will not only flourish and be productive, but will also find an excitement in carrying out even the most mundane functions in everyday work. Organizational development is the use of organizational resources to improve efficiency and expand productivity. It can be used to solve problems within the organization or as a way to analyze a process and find a more efficient way of doing it. Implementing organizational development requires an investment of time and money. But when you understand its importance, you can justify the costs. Many businesses need outside help continue or improve their operations. As an organizational development consultant, your role is to assist the company in determining what its main problems are, how to cope effectively them, and how to manage any resistance to changes. One of the first roles of an organizational development consultant is to identify, quantify, and accurately describe problems within the company. This is not as easy as it sounds. The issues often are complex, multifaceted, and intertwined with one another. Observation and employee questionnaires are two tools consultants often use to determine areas of trouble. Solving a company’s problems is at the heart of organizational development consulting. After changes are recommended, consultants advise employers on the best way to implement them while causing the least amount of disruption to the business’s day-to-day operations. One of the greatest challenges faced by organizational development consultants is helping employees accept any changes that are recommended. Consultants should be encouraged to make employees part of the change process whenever possible, valuing the input they provide. Employees are less likely to resist changes that they helped implement. The process of organizational development identifies areas of company operations where change is needed. Each need is analyzed, and the potential effects are projected into a change management plan. The plan outlines the specific ways in which the change will improve company operations, which will be affected by the change and how it can be rolled out efficiently to employees. Without organizational development as part of change management, a company would have a difficult time developing effective change management programs. Organizational development is an important tool in managing and planning corporate growth. An organizational development analysis brings together sales projections and consumer demand to help determine the rate of company growth. This information is used to alter the company business plan and plan the expansion and use of company resources such as personnel and the distribution network to accommodate future growth. When a company is involved in organizational development, it analyzes work processes for efficiency and accuracy. Any quality control measures required to attain company standards are put in place. Evaluators analyze duplicate process, or processes that can be combined for greater efficiency, and develop and implement detailed plans on how to improve company methods. Product innovation requires the analysis of several kinds of information to be successful. Organizational development is critical to product innovation because it can help analyze each element of product development and create a method for using it effectively. Some of the processes that come together in organizational development to assist in product innovation are competitive analysis, technology development, consumer preferences, target market research, manufacturing capabilities analysis and patents and trademarks. This chapter has provided an introduction to organizational change and development. Change is clearly inevitable, and mastering change is, therefore, fundamental to the success of any organization. Organizations which can cope with change and harness its energy will be vital and effective. Large scale organizations are no exception. In fact, large organizations not only reflects many of the changes occurring in our society today, but it is an institution that also creates and “enforces” change. If the large organizations can become even more effective in managing change, it can create a powerful impact on society as a whole. The challenge for all organizations is to continue their efforts, often accomplished behind the scenes, to encourage their organizations to anticipate change, to understand the nature of change, and to manage change. The development of your organization and, particularly, how you manage change impacts the success of your business. Organization development activities intervene in the interactions of your people systems such as formal and informal groups, work culture and climate, and organization design to increase their effectiveness using a variety of applied behavioral sciences. Judicial educators may be in the best position to sense the need for organizational change and development efforts within their committees, boards, or work teams. While they may not have the organizational power to ensure that appropriate efforts are implemented (the role of a change sponsor), they can certainly “raise the consciousness” of the organization and advocate that OD needs be addressed. Healthy organizations are willing to commit time and energy toward improving both the individual and the organization as a whole. A synergistic effect can be created when professional development and organizational development efforts are simultaneously put into place. However, many organizations and teams unfortunately overlook the need for organizational development, often because of their unfamiliarity with the concept or their emphasis on professional development. While “professionals” are generally considered to be independently-based practitioners, the majority of professionals function within an established organizational setting. Judicial personnel are no exception. While members of a judicial office may make decisions in an independent fashion, they are still part of the larger system in which they work (e.g., the state justice system) and are related to the organizational context in which they function (e.g., Administrative Office of the Courts). Judges in particular work in a highly independent fashion. Yet, they too are part of an overarching system. The system itself must have the benefit of development as well as the individual professionals who are a part of the system. However, judicial educators may unwittingly neglect the needs of the organization or system in favor of professional development alone. Indeed, some observers have argued that this is a fundamental part of conflict between state judicial educators and state court administrators. With this focus on improving the practice of individual professionals, educators and managers may overlook the equally important needs of the organization to support its institutional mission as well as individual vocational growth. Individuals can improve only as much as their organizations “allow” them to grow. Nowlen, among others, has discussed this challenge in A New Approach to Continuing Education for Business and the Professions (1988). He believes that the most effective professional development is holistic in nature, involving not only the practitioner, but the individual’s organization as well, so that new behaviour and learning can be integrated into the work setting. Nothing is more frustrating than continuing education that is stopped at the point of entry of the practitioner’s work setting. Judicial educators may often feel the limitations of working with professionals whose practice setting does not encourage their professional growth. Organizations, as well as individuals, must be committed to the concept of lifelong learning and continual growth and development. Again, we see this holistic perspective of not only individuals and organizations, but of the learning process itself. Learning is not a discrete process that occurs only through individual effort. Implementation of the learning in practice depends upon a receptive work environment, as well as effective teaching and interaction in the actual learning environment. According to Middlemist and Hitt , organizational development is: A systematic means for planned change that involves the entire organization and is intended to increase organizational effectiveness. Cummings and Huse (1988, p. 1) define OD in broader terms: A system wide application of behavioural science knowledge to the planned development and reinforcement of organizational strategies, structure, and processes for improving an organization’s effectiveness. Several parts of the above definitions are particularly worth emphasizing. The first is that organizational development is a systematic activity, an ongoing process that can help organizations deal with current and anticipated problems, putting leaders in a proactive, rather than reactive, stance. This stance differs from the “putting-out-fires” approach that so many groups and organizations have relied upon historically. The second noteworthy item is that OD involves planned change within an entire organization or work team. This means that a proactive stance is absolutely necessary for change to be effective; otherwise, the planned change effort will lag too far behind the need that it is intended to address. For example, judicial employees who have recently come under the jurisdiction of the State court Administrator’s Office may find difficulty in adjusting to new procedures, new channels of communication and authority, and new roles. Concurrently, existing staff within the Office will experience their own difficulties in assimilating the new group, sharing information, and performing roles that also may have changed. Is it then time for a “team-building” session? While it’s often “better late than never,” the real effort should have already occurred before the organizational changes were enacted. Staff from all areas ideally should have been brought together and the job restructuring discussed, procedures and policies formulated, and team-building efforts begun. After changes have taken place, it’s often too late to begin organizational development efforts. This fact makes planning even more critical and highlights the advantage of institutionalizing the concept of team-building so that staffs are empowered and able to cope with changes in the work team. The third part of an OD definition to keep in mind is the rationale for organizational development — to improve organizational effectiveness. Organizations and work teams must be effective and efficient, particularly in the current environment of limited resources. In thinking about effectiveness, every organization and team would be well-advised to adopt a “quality” mentality regarding OD efforts. Ongoing, institutionalized OD strategies are akin to continuous quality improvement. Quality concepts originated in the manufacturing sector, but today, the quality movement is being incorporated into service organizations as well. While not as technically oriented, work teams providing services can effectively determine quality standards and work proactively as a team to insure that standards are met. Concepts of quality can be applied in the educational arena. For instance, the National Association of State Judicial Educators (NASJE) has recently developed a set of “Principles and Standards for Judicial Education.” This endeavor signifies commitment not only to quality, but also to the professionalization of the field. Ensuring quality, like strengthening an organization’s effectiveness, is an ongoing task. Organizational development can, of course, occur in groups or teams, as well as within an entire organization. Effective OD is ongoing and systematic, strengthening both the individual and the group. Many organizations today accomplish their tasks through a project management approach that brings together teams for a short period of time. Members of the team may be brought from various parts of the organization, representing different constituencies and levels within the organization. These work teams do not always have a unified focus or vision of the task to be accomplished; therefore, they can falter in their responsibilities because of conflicting perspectives, communication difficulties, or lack of clear objectives. An ongoing system of organizational development strategies is useful in this situation. Team-building in particular is effective when incorporated and supported by the organization. It’s interesting working in the arena of organization development. All too often managers are confounded by the fact that the employees resist any form of change whether the changes are better for the organization, will secure their jobs, and will most probably make the employees lives better. Organizations spend thousands of pounds and many hours putting together information packs and communication plans to explain the changes, but no amount of information, no matter how rational, will seem move those who chose not to be moved. What is more frustrating is that those who refuse to toe and line, and who engage in acts of corporate terrorism will be able to justify their bad behavior with a perfectly rational and logic line of reasoning– even if the rational remains unreasonable. Further investigation will also unveil the truth, which is that the most reluctant will invent fabrications about the real motives of those trying to push for change, even if those reasons are nothing more than lying to ourselves. Human behavior, the mind and each individual’s personality are nothing if not curious and fascinating. You see we don’t like to consider ourselves as being irrational. We need to deceive ourselves into believing that our bad behavior is rational. If we are unable to cope with a current situation we may begin to regress, acting out like a petulant teenager, or we might use a displacement defence where we know we have to be strong, so we take out our frustration on a process of change that makes us feel fearful. Finally we might take hide from, and refuse to acknowledge the change that we are experiencing by repressing that which we are finding intolerable from our conscious mind and continuing as if nothing has changed at all. Social Psychologist Leon Festinger described the discomfort we feel when we modify our beliefs so that we can make two contradictory ideas compatible as ‘cognitive dissonance.’ The more we believe that we are right in our belief that the change is bad, the more effort we will put into proving that we are right – and any information is used to confirm the rightness of our beliefs. If we are lying to ourselves we must in some way justify our lie to continue believing that we are a good person. (Rosenburg, 2011) Culture or rather ‘the way we do things around here’ exacerbates the cognitive dissonance that individuals develop during a change programme. The effectiveness of an organization can be seriously compromised if efforts to make changes conflicts with an organization’s norms, standards, working practices and values, potential creating conflict and toxicity around the change efforts. Take for example the current context of the environmental peril that our planet is in. If we don’t change the way we do things then our grandchildren will quite possible face extinction. The problem is that we have accepted the truth of ‘plenty’ and of not having to count the external costs of our actions for such a long time that the rules and expectations of 21st Century human culture, especially in the Western World is currently stopping us from acting rationally in the best interests of our long term survival. 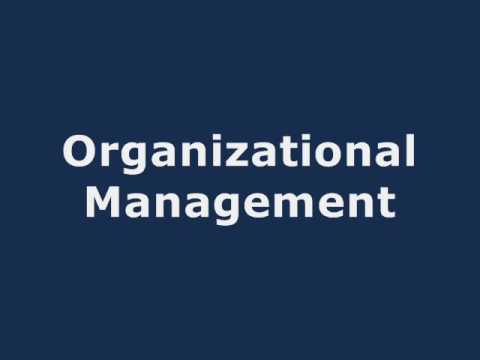 Organization’s can face similar problems in areas that are in obvious need of change, possibly where the way things are done around here is causing the organization to lose business or damage its reputation and yet still change efforts are met with resistance. Since we are social creatures, doing things differently, changing to such an extent means that we have to go outside group norms. For example the terms Tree Hugger, Eco-warrior and nature loving hippy have for a long time been used as insults and denote that the person acting with a belief structure that puts the environment first is in some way uncivilized. Even those organizations that are pursuing green and environmentally friendly agendas wrap their actions up in more acceptable business language of sustainability, Plan A and corporate social responsibility, it goes against our culture that these organizations should say that they care about the planet. Organization Development offers an alternative to the ‘information centric’ approach to change management. Rather than a top down change that tells people how to think and act, organization development takes the organization on a journey of discovery. Leaders are taught to role model, coach and teach so they can reflect the change that is being asked for. For individual employees, OD interventions create safe places for them to consider the areas of thinking and belief structures that might need to change, and provides the tools for the individual to make that change themselves. For groups it helps transition the change through careful facilitation of group’s dynamics to help the group help each other make the transition. Finally, OD considers the reinforcement mechanisms within the organization, processes and systems which will support the culture change going forward, and removing barriers to the successful change. BE the change, coach, and mentor and position yourself as a conduit of change. Ensure Change goals are relevant, and focused on people relationships and behavior especially in regards to how processes and systems within the organization reinforce or inhibit people processes. Develop plans that reward behaviors that reinforce the desired culture change but also manage areas where there is reversion to old behaviours. Change is a constant, a thread woven into the fabric of our personal and professional lives. Change occurs within our world and beyond — in national and international events, in the physical environment, in the way organizations are structured and conduct their business, in political and socioeconomic problems and solutions, and in societal norms and values. As the world becomes more complex and increasingly interrelated, changes seemingly far away affect us. Thus, change may sometimes appear to occur frequently and randomly. We are slowly becoming aware of how connected we are to one another and to our world. Organizations must also be cognizant of their holistic nature and of the ways their members affect one another. The incredible amount of change has forced individuals and organizations to see “the big picture” and to be aware of how events affect them and vice versa. Organizational development (OD) is a field of study that addresses change and how it affects organizations and the individuals within those organizations. Effective organizational development can assist organizations and individuals to cope with change. Strategies can be developed to introduce planned change, such as team-building efforts, to improve organizational functioning. While change is a “given,” there are a number of ways to deal with change — some useful, some not. Organizational development assists organizations in coping with the turbulent environment, both internally and externally, frequently doing so by introducing planned change efforts. Organizational development is a relatively new area of interest for business and the professions. While the professional development of individuals has been accepted and fostered by a number of organizations for some time, there is still ambiguity surrounding the term organizational development. The basic concept of both professional development and organizational development is the same, however, with an essential difference in focus. Professional development attempts to improve an individual’s effectiveness in practice, while organizational development focuses on ways to improve an organization’s overall productivity, human fulfilment, and responsiveness to the environment (Cummings & Huse, 1988). These goals are accomplished through a variety of interventions aimed at dealing with specific issues, as well as through ongoing processes. This chapter provides an overview of both change and organizational development. Educators, including those in the judiciary, must be familiar with the dynamics of organizational change, since all educational activities, both at the individual and organizational level, deal with effecting change. Organizational development and change efforts go hand-in-hand; judicial educators who are interested in effecting change within their organizations must first thoroughly understand the dynamics of change. They must think in terms of the court system and the judicial education apparatus as organizations for which they may play a role as change agent. Within different parts of these systems, judicial educators may play different roles in the change process. Organizational development will also be discussed in this chapter. One specific OD strategy, team-building, will be examined in some depth. This strategy, if institutionalized effectively, can reduce the need for outside consultants. It is important to include a chapter on organizational change and development in this manual to address issues within the larger frameworks that exist for most judicial educators. Change affects every individual and every organization. Moreover, all of the components of the program planning sequence discussed in this manual are administered within the setting of an organization, a committee or board, or some type of team. As more and more work gets accomplished through teams, it becomes increasingly important to learn how to translate organizational concepts to the small group environment. The team approach is often being used to accomplish short-term projects, such as planning programs, conducting a needs assessment, or developing a new curriculum. A team’s capacity to create a shared vision for the task at hand and work together in the midst of a turbulent environment underlies its ability to be effective. Organizational change and development is a fitting summary chapter for this judicial educator’s manual since it deals with both effecting change (underlying much of education) and managing change. Organizational development efforts, whether facilitated by an outside expert or institutionalized and conducted on an ongoing basis, bring about planned change within organizations and teams. However, they are but one type of change that occurs in organizations, for change can be both planned and unplanned and can occur in every dimension of the universe. A change in chief justice, appropriations, or staff support can dramatically alter the character of a judicial education organization. Institutional alignment of the state bar, local law schools, area colleges and universities, and judicial professional associations may yield similar impacts. Planned change takes conscious and diligent effort on the part of the educator or manager. Kanter (1983) originated the concept of the change master: a person or organization adept at the art of anticipating the need for and of leading productive change. As a way to reinforce the judicial educator’s role in the change process, this term will be used to refer to educators and managers who are interested in effecting change in their organizations or work teams. Change will not occur unless the need for change is critical. Because individuals and organizations usually resist change, they typically do not embrace change unless they must. One OD consultant describes how “pain” drives change (Conner, 1990). Pain occurs when people pay the price for being in a dangerous situation or for missing a key opportunity. As such, change is needed to relieve the pain. According to this perspective, change will not occur just because “it’s a good idea.” It will only occur when the pain of an individual or an organization is sufficiently high to justify the difficulties of assimilating change. Therefore, a change master must focus on the absolute need of the organization to change, rather than simply on the benefits of the anticipated change. Effective change masters understand this, and they then assist others in recognizing that the organization has no choice but to change. The organization cannot afford to maintain the status quo; change is simply that critical. The Ohio Judicial College’s movement to full funding emerged from such a catharsis. In other states, mandatory training saved the office of justice of the peace. Court administration emerged as an independent vocation out of exigent circumstances. These examples of change in state judicial education provide evidence that effective change masters have perceived a critical need for change and then helped to make that change happen. Before embarking on an organizational change initiative, it is wise to carefully plan strategies and anticipate potential problems. One useful method of planning comes from an early researcher on change, Kurt Lewin (1947), who developed the concept of force-field analysis. The term describes analysis that is deceptively simple and can be used to help plan and manage organizational change. Lewin believed that behaviour within an organization was a result of the dynamic balance of two opposing forces. Change would only occur when the balance shifted between these forces. Driving forces are those forces which positively affect and enhance the desired change. They may be persons, trends, resources, or information. Opposing them are the restraining forces, which represent the obstacles to the desired change. As these two sets of forces exist within an organization, they create a certain equilibrium. That is, if the weights of the driving and restraining forces are relatively equal, then the organization will remain static. As changes occur and affect the weight of either one of the forces, a new balance will occur, and the organization will return to what Lewin called “quasi-stationary equilibrium.” Individuals practicing their vocation in the context of a political organization may intuitively employ these concepts in defining and redefining what change is possible. Judicial educators operate in such a context. What is the usefulness of this perspective? Force-field analysis assists in planning in two major ways: (a) as a way for individuals to scan their organizational context, brainstorming and predicting potential changes in the environment; and (b) as a tool for implementing change. In the former, force field analysis becomes a method of environmental scanning (which is useful in strategic planning), whereby organizations keep abreast of impending and potential changes — from societal trends and potential budget constraints to staff turnover and purchases of new office equipment. The more change can be anticipated, the better individuals and organizations are prepared to deal with the resulting effects. The second use of force-field analysis is similar, offering a way to systematically examine the potential resources that can be brought to bear on organizational change and the restraining forces that can be anticipated. This advance planning and analysis assists in developing strategies to implement the desired change. An example may help illustrate this point. A judicial educator wishes to introduce a computer class for a particular group of judges. In her role as a change master, she identifies the driving forces as follows: (a) most judges are presently obtaining the necessary equipment, (b) software and databases are available that are user-friendly and appropriate, (c) computers can help judges handle information quickly and efficiently, and (d) the use of computers as information sources allows court personnel to perform other functions. On the other hand, restraining forces may include the following: (a) judges have limited time for attending additional courses; (b) they appear to be intimidated by computers, so they passively resist using them; and (c) they feel more comfortable utilizing human resources for their judicial research rather than a computer and databases. Force-field analysis provides the necessary information for the judicial educator to plan most effectively for change. If he or she is more aware of some of the potential pitfalls that can accompany the planned change, steps can be taken in advance to overcome them. One strategy for successfully implementing change is to confront the potential obstacles at the outset. In order for the educator to be proactive, however, the positive driving forces and the negative restraining forces must be listed, so that a strategy for change can include enhancing or adding to the positive forces, while decreasing or minimizing the negative forces. In this process, skills such as coalition building, networking, conflict resolution, and the appropriate utilization of power are necessary. The assessment of the current scenario. The creation of a preferred scenario. Designing a plan that moves the system from the current to the preferred scenario. It is evident Egan has been influenced by Lewin, in the emphasis on both planning and assessment. Additionally, Egan argues that planning must lead to an action that produces valued outcomes or results for the organization. Thus, both planning and change must be directed toward a specific goal. Once the need for change has been determined, one follows the steps of the model in sequence. While these steps could each be examined in detail, only step three will be discussed in an in-depth manner here. The first step, “assessing the current scenario,” can be accomplished through a mechanism such as force-field analysis. It provides the necessary information on the forces that can facilitate the desired change and the forces that will resist and deter the change. Step two, “creating a preferred scenario,” is often accomplished through team effort in brainstorming and developing alternative futures. While the need that precipitates the change is clearly compelling, there may be several ways in which the change could actually occur within the organization. It is important to examine the various alternatives thoroughly. The third step of the process, “devising a plan for moving from the current to the preferred scenario,” includes the strategies and plans that educator and managers must develop to overcome the restraining forces in an organization. This is a political process, requiring individuals to harness and utilize power. Power is necessary for change to occur. It is neither inherently good nor bad; it simply assists individuals in accomplishing their goals. In his recent book mastering the Politics of Planning, Benveniste (1989) notes that even well-thought-out plans for change can be derailed when the politics of implementation are not considered. Change masters must gather support for the desired change throughout the organization, using both formal and informal networks. The multiplier or “bandwagon” effect, he notes, is often necessary to rally enough support for the change. Change Sponsor: Individual or group who legitimizes the change. Does not possess legitimization power. Change Agent: Individual or group who is responsible for implementing the change. Change Target: Individual or group who must actually change. One of the most critical tasks for the educator in implementing change is to harness the support of an effective change sponsor. The sponsor is in a position to legitimize the change. Sponsorship is critical to implementing the desired change. Directly or indirectly, pain can motivate the sponsor to foster the planned change. Within the state judicial system, this sponsor may be the chief justice, the head of the education committee, or the state court administrator. Conner (1990) argues that weak sponsors should be educated or replaced, even by someone at a lower level in the organization, or, he emphasizes, failure will be inevitable. Educators and managers are often in the position of change advocates, who perceive the need for change and desire and advocate the change, but who do not have the necessary organizational power to implement the change. Alternatively, these individuals may function as the change agent, with the responsibility (but again, not the power) to implement change. And, of course, in an organizational change effort, educators and managers may be part of the group affected by the change, or the change target. It is useful to consider each of these roles in planning strategies not only for implementation, but for gathering support for the change effort. Information (data, technical knowledge, political intelligence, expertise). Resources (funds, materials, staff, time). Support (endorsement, backing, approval, legitimacy). With every major and minor change, resistance typically occurs. Every judicial educator has seen this tendency, whether the change involves a certain speaker or a particular topic, a customary time of year or time of day to meet, a favourite location for conferences or planning sessions, or a given style for delivering a speech or organizing a paper. This resistance should be accepted as a “given,” so that the educator can predict and plan for effectively dealing with inevitable resistance. This section will address some of the causes and types of resistance to change, particularly at the organizational level. The individual must make a break with the “old” and with his or her current definition of self. After making this break, individuals should loosen their sense of self, so that they recognize that they aren’t who they were before. Assumptions and creating a deeper sense of reality for themselves. They perceive that the old way or old state was just a temporary condition, not an immutable fact of life. In this final state, individuals feel lost and confused. It’s not a comfortable state, but a necessary one so that they can then move into the transition state and to a new beginning. In this process, it is important to recognize how the change was initiated. While all change is stressful, it is easier to go through the process of ending and into the transition if the change was internally driven, rather than if it was initiated by an external source. When we make changes in our lives (e.g., marriage, a new home, or new career), there is a greater sense of control over the change; therefore, we feel more capable of coping with the unpleasant aspects of transition. This is not necessarily true when the change is driven or mandated by an external source (e.g., new job responsibilities, unexpected changes in finances, or job relocation). In externally driven change, the process of transition is more difficult, and there is more resistance as individuals refuse to begin the ending process and make the initial break with the past. This almost innate resistance to externally driven change makes a convincing argument for the change master to facilitate “ownership” of the change efforts by both the change sponsor and the change target. In other words, we should assist others in perceiving the change as desirable and internally driven, rather than an externally driven mandate that is thrust upon them. One of the most powerful forces that can affect individuals and organizations is inertia. The day-to-day demands of work diminish the urgency of implementing the change effort until it slowly vanishes within the organization. Lack of Clear Communication. If information concerning the change is not communicated clearly throughout the organization, individuals will have differing perceptions and expectations of the change. Low-Risk Environment. In an organization that does not promote change and tends to punish mistakes, individuals develop a resistance to change, preferring instead to continue in safe, low risk behaviors. Lack of Sufficient Resources. If the organization does not have sufficient time, staff, funds, or other resources to fully implement the change, the change efforts will be sabotaged. These factors, combined with others characteristic to the specific organization, can undermine the change effort and create resistance. A wise change agent will spend the necessary time to anticipate and plan for ways to manage resistance. Techniques such as force-field analysis, discussed earlier, are useful tools to assist in developing strategies for overcoming organizational resistance to change.